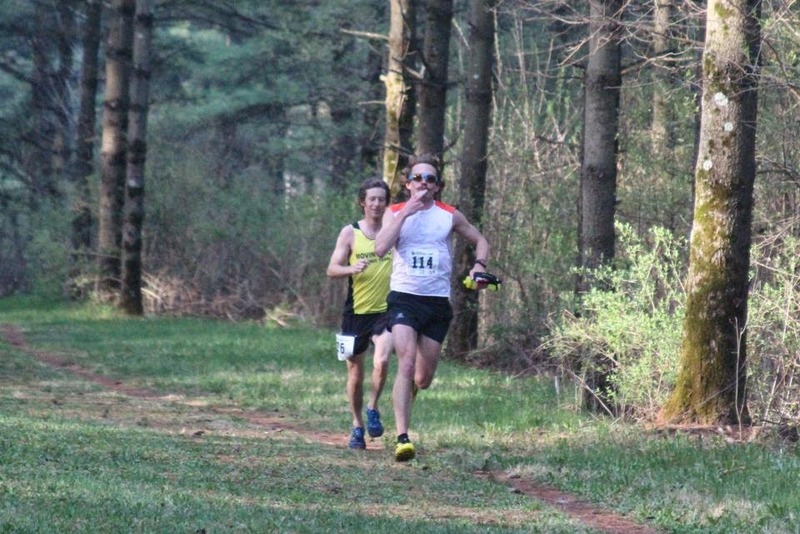 Foremost on my mind when I decided to return to the Ice Age Trail 50 Mile was the 26 year old course record of 5:53:21, held by Canadian ultra stud Andy Jones. 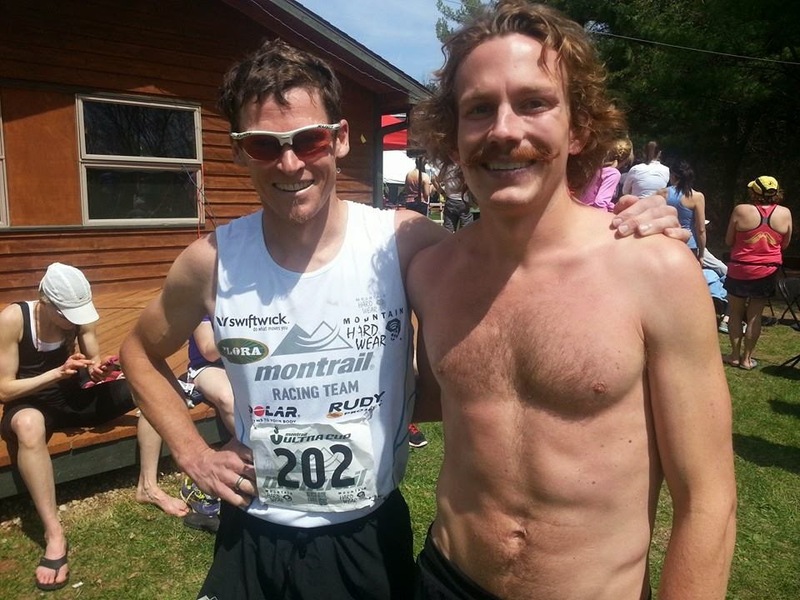 (Trail Running Canada produced a nice piece on Jones here, starting on page 14.) Ice Age is the closest thing I have to a backyard, national-class ultra. 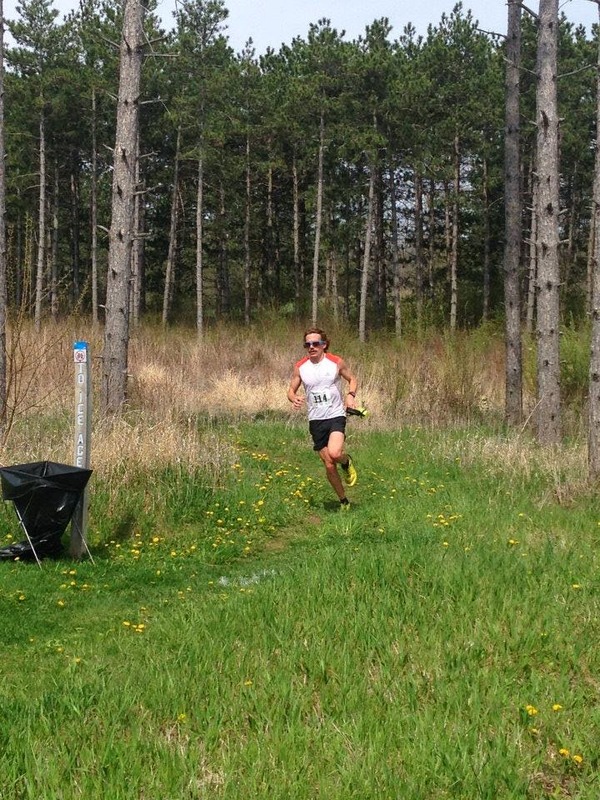 When I got into the sport of ultra running, I lived in Chicago, and some of the first serious trail running I did was in the southern Kettle Moraine. The trails are gorgeous, the race is very well-run, and I'm drawn to the history of the race. Since I first learned about Ice Age, I wanted the record. Last year, in my return from injury, I ran a solid-at-the-time 6:10 for fourth place behind David Riddle, Brian Condon, and Zach Bitter. All three are great Midwest-based competitors whom I have raced multiple times. We had a good battle last year, but a strong David Riddle ran away from the rest of us, approaching the course record in the process. While I knew I would chase the Ice Age record some day, I didn't know if I would be ready yet this year. I would have to cut 17 minutes off of last year's finish. But after a new marathon PB of 2:21:20, run at the Boston Marathon just three weeks ago, I felt ready to take a shot. I analyzed Riddle's Strava Activity from last year, when he ran 5:56. David runs intelligently, and I knew he started conservatively in that race. Interpolating down slightly from his splits, I came up with the following for a course record pace, if run evenly. In the weeks leading up to the race, expectedly, the field began to get pretty competitive. 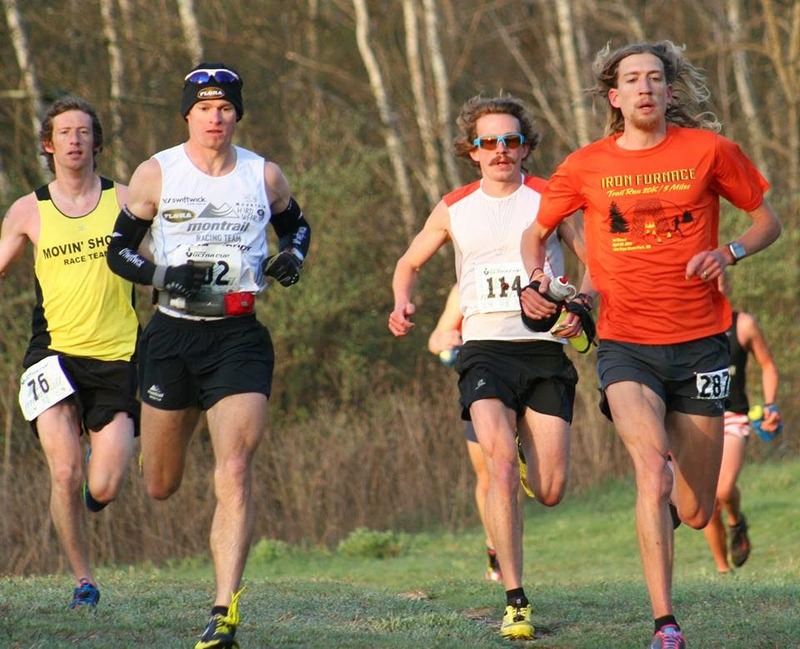 Ice Age is a Montrail Ultra Cup race, granting automatic entry into Western States to the top three finishers. This draws a lot of WS100 hopefuls, especially as it's the last race where one can qualify. Brian Condon and Zach Bitter were back. 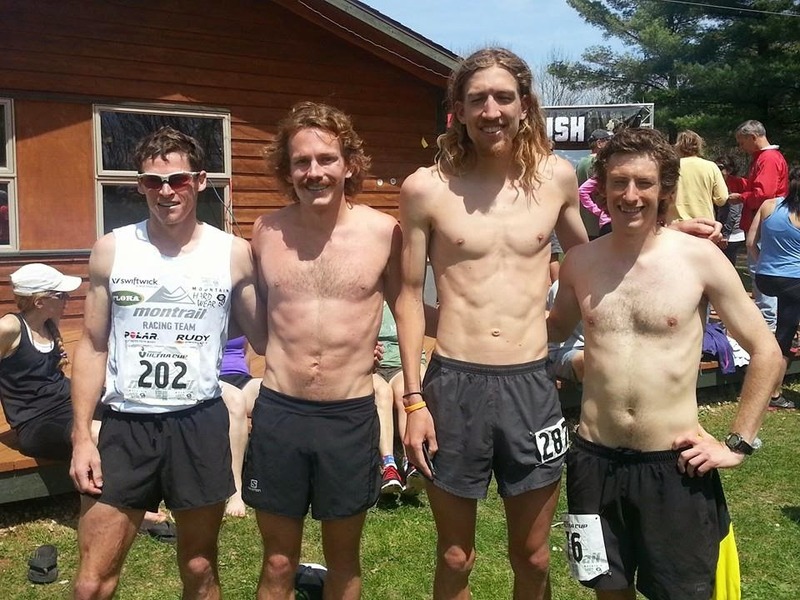 Jason Wolfe, Iain Ridgeway (a Brit whom I met at JFK last year), Michael Owen, Joe Uhan, Brian Tinder, Matt Laye (fresh off a 2:23 at Boston! ), and the big one... Max King. This was going to be fun! Feeling strong and confident, I planned to attack the course from the start, regardless of what anyone else did. As we bolted from the line at 6 a.m. sharp, temperatures still a cool 50º F, Max King went straight to the front, somewhat to my surprise. I kind of figured Max would follow the leaders, as all he needed was a top three finish to get the WS100 spot he sought. Why push and risk a blowup? But I guess when you feel good, you've got to take advantage! We had a good sized pack for a few miles, but that didn't last long. I was making sure the pace didn't slack, and as we moved clockwise around the steeply undulating Nordic ski trails, a lead pack of four emerged: Max, myself, Brian Condon ("Condo"), and Michael Owen. We were running right around 6:15/mile, which would surely equate to sub-6:00 pace on flat roads. No joke for this early in a 6 hour race. Max stopped briefly to water the flowers around mile 7, and Michael, seemingly concerned a bit about the hot pace, backed off a touch. Condo and I kept things moving, and I honestly wondered if we'd see the other guys again. But shortly after we looped by the Start line at mile 9, the pair rejoined us. We rolled through the Bluff Road aid station way ahead of schedule in 1:05:45. This was a full five minutes faster than David Riddle ran the opening 10.5 miles last year, well under record pace. As we hit singletrack and headed south past Confusion Corner and into the relatively flat pine forest, Condo assumed the lead. I was surprised by this as well. I had just assumed that I would be the one leading the race, stubbornly chasing the record. That I had three other guys doing it with me was great. The best thing for running fast is competition. Condo was moving so quickly that as we hit some rolling, winding singletrack, I started to feel a bit stretched. We had already dropped Michael by a bit. Condo was gapping me on the uphills, but I would catch him on the downs. Max was right on my heels. Finally, around mile 15, I decided to take a strategic pit stop myself. It cost me 30 seconds or so, but I took the opportunity to down a gel, and I wanted to be able to settle into my own rhythm for a bit. I actually ended up running right behind Michael as he came by right as I began running again. We ran in tandem nearly until the turnaround at Rice Lake (mile 21.7). Michael's pace felt comfortable to me on the uphills. On the downhills, I was running slower than I would have if on my own, but I was content to relax for a few miles. I zipped around Michael right before Rice Lake, and saw that I was 40 seconds down on Max and Condo, who were still together. I caught up to Condo surprisingly quickly, as we began to pass others on their way out. I think it was Zach Bitter or Matt Laye in fifth at the time, about 8 minutes back. I passed Condo within a few minutes on a steep downhill stretch and gave chase after Max. I was gradually catching up, but he was still moving pretty quickly. He pulled into the Highway 12 aid station about 15 seconds ahead of me, but I passed him while he was refilling a bottle. My dad was crewing for me, so my exchange was quicker, consisting of a bottle swap and cramming a giant handful of potato chips into my face. Max settled in behind me, and I tried to keep the pace going. It was during this stretch that I began to get a bit tired. It seemed like Max was tiring as well, as I would put a bit of distance on him during some of the downhills. I tried to apply a bit of pressure to see if he would let me go, but no dice. Talking with Max after, he was actually still feeling great in this section. As we made our way back to Confusion Corner around mile 32, we hit a short switchback up to that point. I decided to powerhike here for the first time, and Max went by me, giving some encouragement as he passed. He was pretty quickly out of range, as I descended into a rough patch. The temperature was rising and I had probably gotten a bit behind on calories. Especially in hotter temps, I have a hard time eating sometimes. I stop craving any sort of gel, gummy, etc. and just want real food. I refilled my bottle with Heed at the next aid station, but it just tasted chalky and disgusting to me. I managed to get down a few gummies before finally getting an orange slice and mini PB&J around mile 37 (Horserider's Camp). I had no idea where Condo or Michael might be behind me, so I just tried to press on as best I could. I took comfort in the fact that at Confusion Corner, Max and I had been 9 minutes up on course record pace. I power hiked a lot in the miles approaching Emma Carlin (the final turnaround point at mile 40.3), just trying to manage my energy levels. I started to feel a bit better as I neared that point. I watched Max fly by in the other direction, told him to go get the record, and checked my watch. Timing the gap into the aid station, I found myself to be a little over 5 minutes down on Max. Unless he blew up, the victory and record would be his. But I was still well under pace and would be able to break the old record myself if I kept a decent pace. Even if I would finish second, the possibility of breaking the old course record motivated me as I began the journey home. Heading back out, I passed Condo and Michael in close succession. I had about 5 minutes on them, which I felt was safe enough. It seemed like they were readying for a good battle. (And they indeed were! Michael would catch Condo, but Condo put in a late-race surge to prevail.) The final miles were just more damage control: powerhike the steepest sections to save energy, cram some food at the aids, break the course into pieces that were easier to manage mentally. When I finally got to the big descent before the Young Road aid station, I was home free. The course record seemed within reach, and when I crossed Bluff Road for the final time, I realized I could even break 5:50 if I pressed. I was able to muscle out sub-7 pace the last 1.5 miles to the finish, very excited with my final time of 5:49:13. 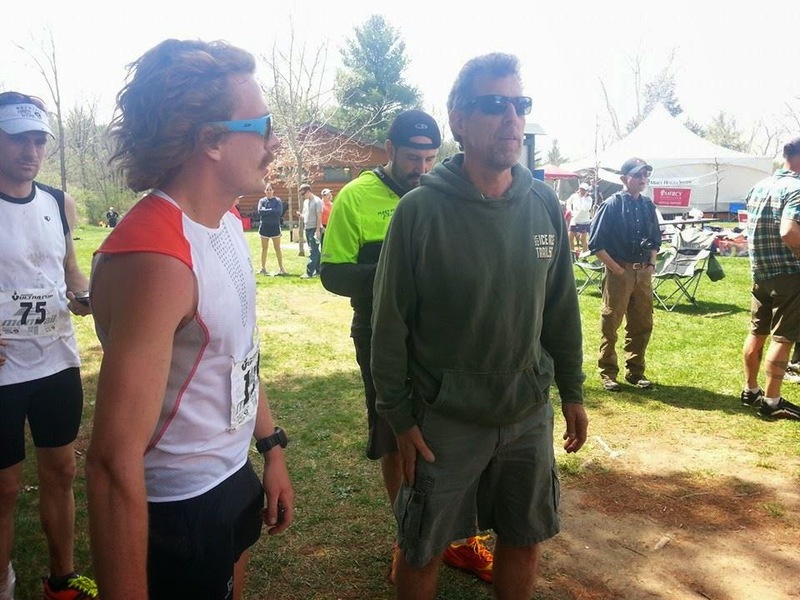 Jeff Mallach (RD) and I discussing the race at the finish. I was a wreck after I crossed the line. Everything ached. Excitedly, I watched Condo and Michael both come in under 6 hours. Before this year's race, only five men had ever accomplished that feat. Now there are nine. It's a testament to the depth of ultra running right now, but also to what competition can do for you. Would any of us have run as fast by ourselves? Probably not. We took the race out crazy fast, and after that it was just a matter of who could hold on the best. Max more or less maintained, only slowing slightly. I slowed, but avoided a blow up. Condo and Michael faded just a bit more, but there was surprisingly little carnage among the four of us. I'm sure some of the chase pack figured they'd be walking us down late in the race. Hanging out post-race with Ian Torrence and Brian Tinder, sharing the Quaff ON! love! 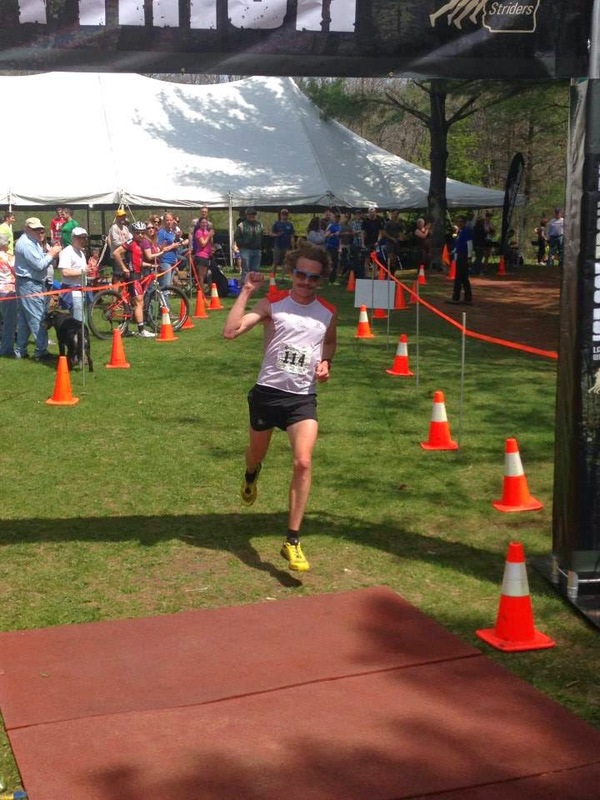 Max told me post-race that he thinks this was the best ultra marathon he's ever run. Which makes sense—I think a 5:41:07 at Ice Age is pretty clearly superior to his 5:34:59 at JFK, for instance. I similarly feel this was my best ultra performance to date. I'm in the best shape of my life, but hopefully still on the upswing. I've got the Soldier Field 10 Mile in two weeks, then the Cayuga Trails 50 Mile /US 50 Mile Trail Championships the following weekend. I have already turned down the WS100 entry slot I earned by virtue of my second place Ice Age finish. The way I figure it, I'll move to 100 mile races when I'm good and ready. 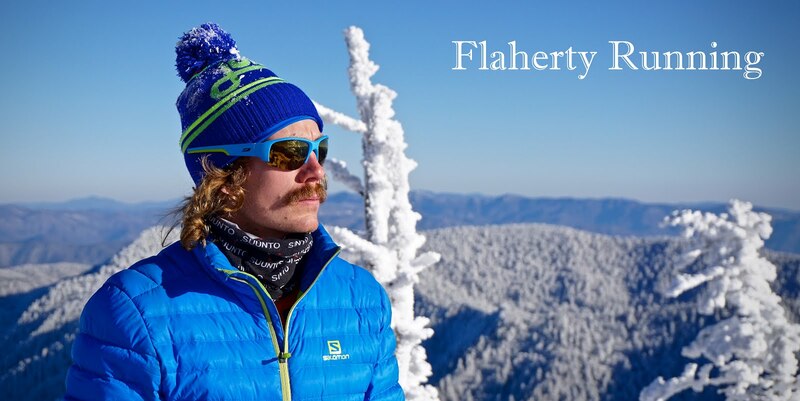 I won't race Western States simply because I can. That's not my goal. When I race it, I want to win it, and I would stand little chance of that this year with no specific prep for it and no access to mountains for training. I saw someone say that the road to Western States is littered with couldabeens—that you should take the chance when it's there. But I say the DNF ranks of the Western States results archives are littered with shouldawaiteds. I'm going to do what's best for my long term development in the sport, because I want to be one of the best. I'm 28 years old and still getting better at every distance, even the short stuff. Why would I move to 100s now? If I can get to be a 2:15 or a 2:13 marathoner before I move up, that will only serve me better. I have to assume that the opportunity will be there in the future. Max King is a good example. He has qualified several times in the past, but never bowed to the external pressure to race something he wasn't ready to do. Now he's going to Squaw on his own terms. That's an example I'd like to follow. Also, I would be remiss if I didn't mention Kaci Lickteig and her incredible new course record of 6:41:39. When Cassie Scallon shattered Donna Perkins's 18 year old record last year by a good 19 minutes, I figured that it would stand for some time. Not so—Kaci's the real deal and absolutely on a tear this year! Kate Pallardy and Larissa Dannis ran great times in second and third as well. 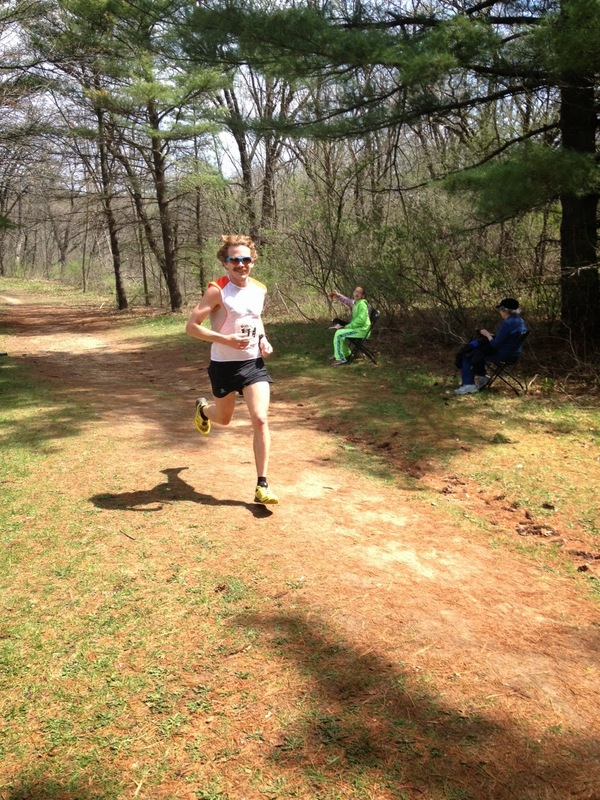 Kate's 7:04:16 is fifth fastest woman ever, and only a few second behind Ann Trason's and Donna Perkins's times. Victors and course record holders, Kaci Lickteig and Max King. As a final note, a big thanks to everyone involved with the organization of Ice Age. It's incredibly well-run, from course marking, to aid station operation, to post-race barbecue (complete with free food, beer, and tunes!). Jeff Mallach puts on an outstanding race. This year, I got to meet a good number of the past RDs as well, including John Zinzow, Don Ayer, and Glenn Wargolet. Great folks, all. It's one of my favorite races, and one I would recommend for everyone. Finally, a thanks to my sponsors for their support and to my dad for crewing! I love these shorts, as they've got a little waterproof pocket on the right side where I keep all of my electrolyte pills. These are my absolute favorite shoes—incredibly comfortable and versatile. Delicious whole-food energy bars hand made by some wonderful runners in Bloomington, Indiana. Great brews from southern Indiana. Shout out to my Quaff ON! Racing teammates, who tore it up at Dances with Dirt down in Brown County, IN while I was up in Wisconsin. Of of the most captivating and exciting recaps of the Year. Thanks for your insights and looking forward to following you in your upcoming races. Congrats! Great write up and congrats on your finish!